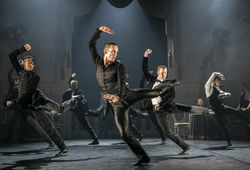 New Adventures is delighted to announce full casting for the world premiere of Matthew Bourne’s ROMEO AND JULIET, which will appear at the Alhambra Theatre in Bradford as part of a UK tour to 13 venues. 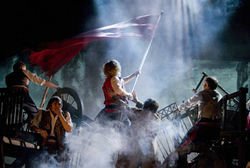 Cameron Mackintosh announced today further dates for the UK and Ireland tour of his acclaimed production of the Boublil and Schönberg musical Les Misérables. The musical comes to the Alhambra Theatre, Bradford from 9 July – 10 August 2019. 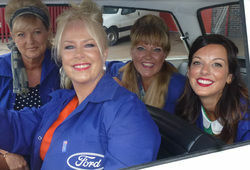 Buttershaw St Paul’s Amateur Operatic & Dramatic Society has announced that their show Made In Dagenham will take place at the Alhambra Theatre from Wednesday 23 to Friday 25 January 2019 at 7.15pm with a 3pm matinee on Friday. 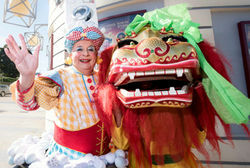 As preparations for the festive season gain momentum, so does planning for Yorkshire’s biggest pantomime, ALADDIN, at the Alhambra Theatre in Bradford, including the venue’s fourth Relaxed Performance, which will be staged on Tuesday 8 January 2019 at 6pm. Matthew Bourne’s New Adventures dance company is working with Bradford Theatres and Bradford College as part of the IN OUR SHOES PROJECT. This exciting project enables Bradford Theatres to continue and develop work with an amazing group of students at Bradford College. Dracula is one of the most universally iconic novels ever written. A monumental, genre defining classic that is known the world over, Dracula remains the father of all vampire tales. This autumn an all new production sees the bloodthirsty tale resurrected as part of a nine-week tour, which arrives at the Alhambra Theatre, Bradford from 27 November. WORLD’S TOP MJ TRIBUTE IS COMING TO BRADFORD! 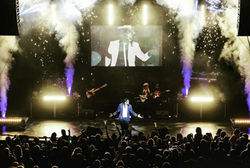 Get ready to moonwalk the night away at the Alhambra Theatre, Bradford on Thursday 15 November with the world’s number one Michael Jackson tribute artist! 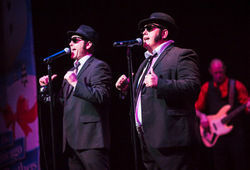 The award-winning Chicago Blues Brothers present the world’s biggest and best tribute to the legendary Blues Brothers with ‘MOTOWN MISSION’, two hours of high energy, all-singing, all-dancing entertainment, featuring more than 40 smash hits. 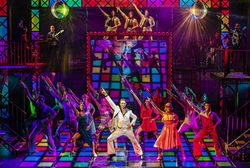 Marking 40 years since its famous UK cinema release, SATURDAY NIGHT FEVER is reimagined and revitalised in a big new music and dance spectacular, coming to the Alhambra Theatre in Bradford this November. New Adventures is delighted to announce casting for the UK tour of Matthew Bourne’s new production of his legendary SWAN LAKE, coming to the Alhambra Theatre, Bradford from 6 to 10 November.